Bear Claw – The history on this one is not totally clear. It seemed to appear around 1984 in the SSE yearbook. It was said to be traced to West Virginia. But other data may have had it in the Mid West states. 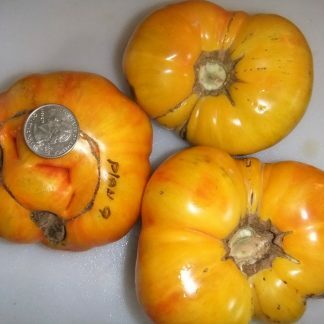 Regardless of its true point of origin, the first Bear Claw fruit I saw weighed over 2 pounds. 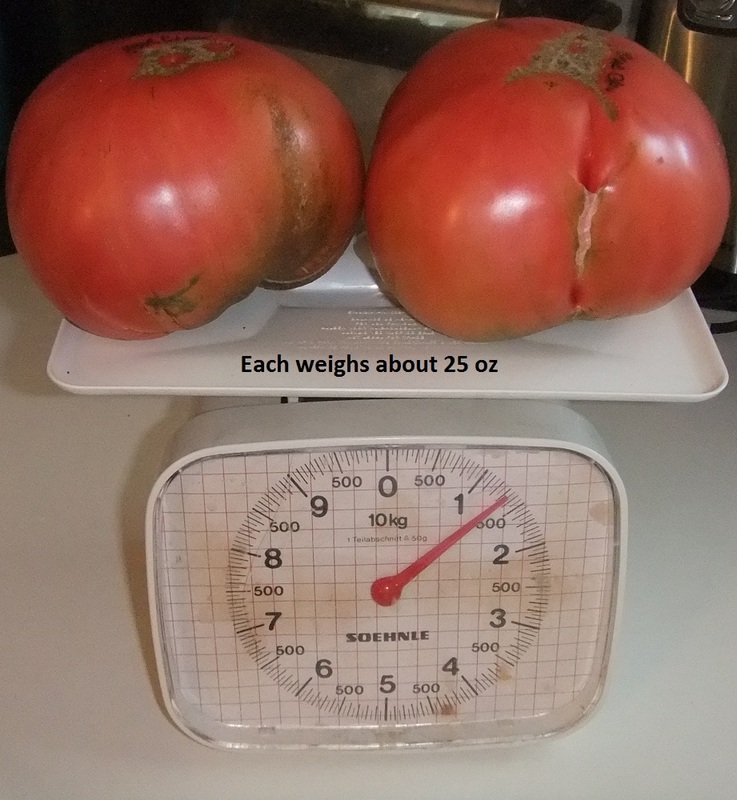 The tomatoes are just plain huge. 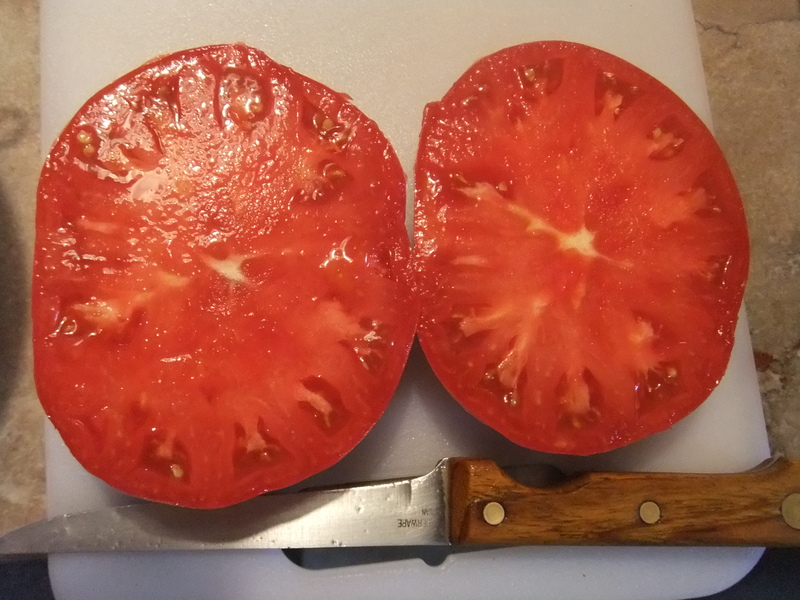 The vines had only a few small 10 ouncers among the huge beefsteaks. The flavor is superb with a good full range of tomatoey goodness and a touch of sweetness on the finish. The size makes it easy to cover the larger slices of bread for your BLT’s. 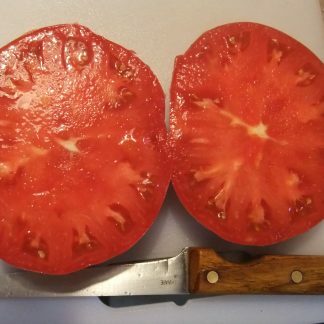 If you like big tomatoes on big plants, then this one is for you.